Many people sit around the fireplace and read a book or talk to their family with a glass of wine. Most classic homes will have several fireplaces, and they are considered a luxury item in real estate today. It’s hard to remember the time where chimneys were used for heat, and the job was dangerous. Let’s a quick look into chimney sweeping history and what made them so popular. 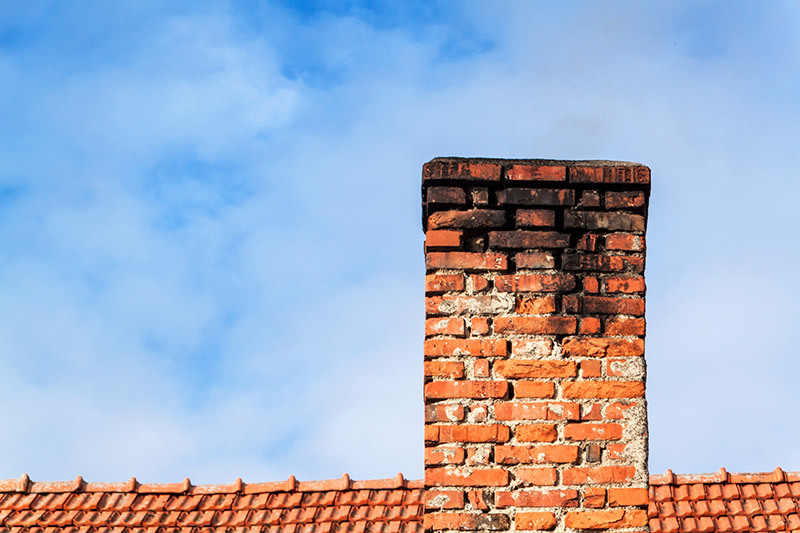 Chimneys became extremely popular in the 1600s because fireplaces were used for heat. Some homes even had a fireplace in every room. People first started using coal for their fires. While coal was cheaper than wood, it caused a lot of soot to build up. Hence the need for the chimney sweeping industry. People quickly realized that the soot building up in their chimneys needed to be cleaned somehow. Not cleaning the soot was causing dirty homes, lung problems, and fires (read all about ways to get the soot out of your carpet here). Chimney sweeping was not always an easy profession. It didn’t require an extensive amount of knowledge. It was an unskilled job that just about anyone could do. Many people were injured on the job. What made the job so dangerous? Workers could inhale soot and develop lung problems. More quickly, though, some would get stuck in the chimney and die from inhaling the soot for too long. Others would fall from roofs and not survive. Worse, many of the chimney sweepers were children. The children were small enough that they could climb up into the chimney to clean it. These children were either from very poor families or orphans, so they didn’t understand or care how dangerous the job was; they simply needed the work. The children were still terrified sometimes. In order to motivate the child worker, some horrible employers would even light a small fire to encourage them to get to work. William Blake, one of the greatest poets of his time, describes the difficult job that some children had in his poem Songs of Innocence- The Chimney Sweeper. Luckily, people realized that something needed to change in the industry. In England in 1864, they passed the “Act for the Regulation of Chimney Sweepers”, which instilled laws to protect workers, especially children, from the dangers of the trade. The children were no longer legally allowed to climb up the chimneys to clean them. Of course, it took time for real change to occur. This was the start of a long list of laws that were developed to protect workers. Later, laws would also be put in place to help the environment and the homeowners, too. One of the ways that we were able to protect workers was to utilize new inventions that contributed to safer work conditions. Joseph Glass is widely known in the industry for his contributions. He created a new system that allowed a device made of canes and brushes to move up and down the chimney to clean it. This made it possible for the device to clean the chimney without a person going inside and risking their lives. Of course, there were several other new inventions that also made the job much easier. The advancements helped to create the image of the happy-go-lucky chimney sweep that we see in movies and literature. While the job was still dirty and dangerous, it was much safer than it had once been. Nowadays, chimney sweepers have a whole new set of units to work with. Gas and electric fireplaces have started to take the place of coal fireplaces. This started creating problems for homeowners when rarely used fireplaces were utilized again. The soot built up in the fireplace would cause poisoning and fire hazards. This made chimney cleaning as popular as ever. Also, chimney sweepers had to learn how to care for the new fireplaces. This turned the job into a much more technical position, requiring a lot of know-how. This turned the trade from an unskilled position to a skilled position. There’s a drastic change in the way that we use chimneys. People don’t use their fireplace for heat or cooking as often anymore. A fireplace used to be considered a necessity for heat, but it’s now seen as a luxury item. These luxury items take up back to a time where families gathered around the fire to spend time together. It also provides a cozy atmosphere. Despite not being needed, there’s no indication that people will stop enjoying their fireplace, so the chimney cleaning industry is still extremely active. Of course, it has changed greatly. Many rich people who want a luxury fireplace in their home don’t want to bother with any soot or any other dirty part of the job. Today, the profession is much safer than it used to be. There are several organizations that not only look out for the chimney sweepers but also the customer. Chimney sweepers must adhere to strict guidelines for the safety of everyone involved. Chimney sweepers do significantly more than just clean. 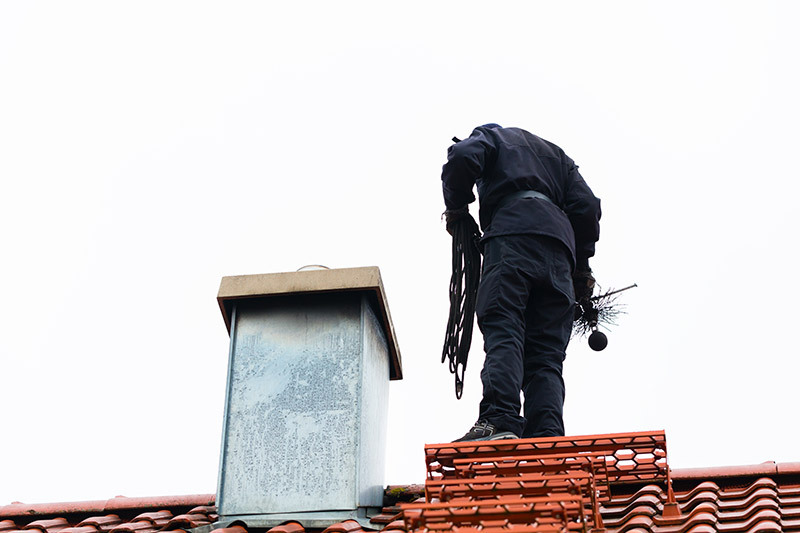 They also inspect the chimney, diagnose problems, service the chimney, and install new chimneys. It can still be a dirty job, so it’s usually recommended to call a professional to prevent getting soot all over yourself (and your home). Furthermore, your chimney cleaner will be able to spot cracks in your chimney or animals. They can even make repairs if the chimney is already damaged. Furthermore, they know how to handle everything in a safe way, no matter what type of fireplace you to have. Years ago, the chimney cleaning profession was a topic of conversation at every dinner table. It was a popular item with politicians and literature for centuries due to the poor working conditions of the young boys forced to do the work. Luckily, we have created change. Need the expertise of trained professionals to clean your chimney or perform maintenance? Get a free quote today and start your next chimney project with the best.